And re Sean's post, if I had a time machine, the first thing I would do is go back in time and kill whoever invented pronouns! Er... You added it to your calender? Who else would add it to HIS calendar? Yeah. Because we all mark unconfirmed release/announcement dates for beta phone software on our calendars. Sorry I was questioning the posts intent above..? On note what evidence is there for this date? FYI 7-8 October there will be TechEd in Australia, so it might be unveiled there. aaron j, DalekSnare, Dnamb and 1 others like this. How did you find out that information? Do you have access to the internet and can you ask the internet things you want to know? ok, tell us what's advantage than before? 2/10 likely hood according to that article?? Shame, had some nice features.. I don't see any mention of fixing the audio cracking in music playback, so it's very meh to me. I hope it does help those who are still having stability/power consumption issues. According to my facebook thread: new Preview for developers update has started rolling out! This is the previous update, which fixes some HTC errors etc. do you have a version which ends in .899? i have a weird update last night. the first update was cyan, then theres come another update which took around 7 min to install, after the installation it showed that i have a version with last .899, then after a few minutes when i check it again i have the .243 again. 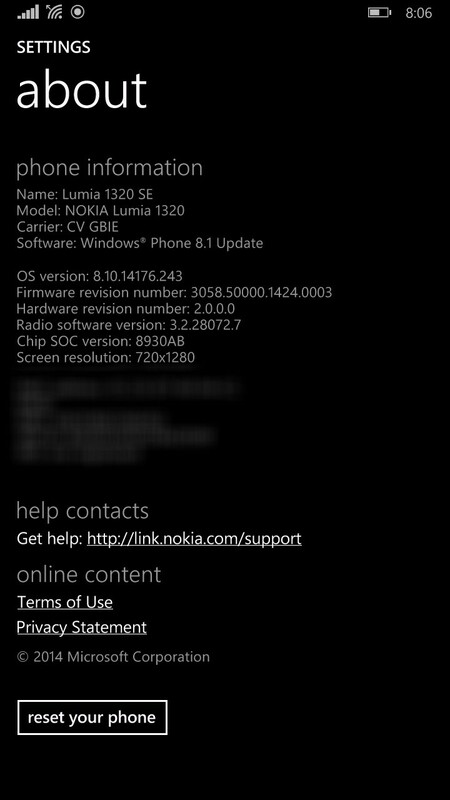 The 899 is the latest version of WP 8.1 (without GDR1). After the Windows 8.1 update to my Nokia 920 why can't I get my media content to work?